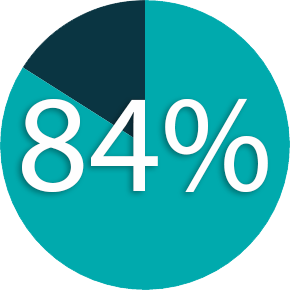 When consumers are searching for products or services related to your business, you want to be sure that you’re seen, more than 97% of people don’t shop past the 1st page. We get your map listing in the organic section in orange here. Having your business on the first page of Google is the most effective way to drive new customers to your business. As you can see below, the map takes up 30% of the page. This makes it easy for people in your local area to quickly find a company to work with and learn about. On their map listing profile they have pictures, video, reviews, phone numbers and driving directions all conveniently there for the customer. 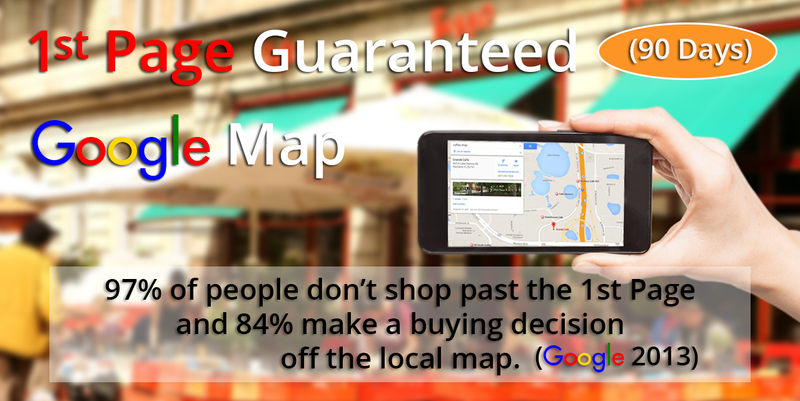 Remember, 97% of people don’t shop past the first page and 84% make a buying decision right off the local map Google Places profiles. So to compete locally, it really is crucial. But look, they also have 1st page placement with their Yelp listing. Nice…huh? We claim your local map and directory listings and update them with accurate information, so your profile is consistent across the web. Not having accurate and consistent information is one of the biggest mistakes most businesses make, it effects and even prevents good rankings on Google. 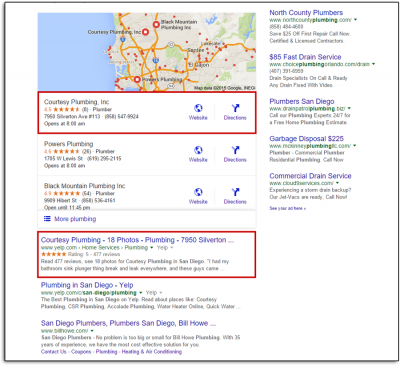 Part of getting on and staying on the map is a combination of being in relevant directories known as “citations” and getting lots of Google reviews. Get added to these popular directories and more! 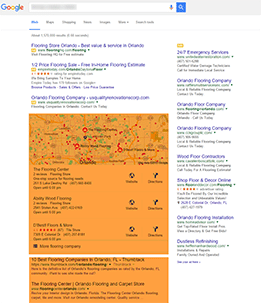 If executed well, Organic SEO is extremely powerful and valuable to your business. 4 out of every 25 visits from potential customers take some kind of action.